This is Specifically Designed for YOU! $1.5 MILLION NET Into My Pocket. The decision to go to Scott Keffer’s Boot Camp is a no brainer. Scott continually does a tremendous job of developing incredible content he delivers throughout the entire Boot Camp. How To Have Affluent Clients With Public Seminars… Without Expensive Dinners or Plate Lickers! Seminars, when done correctly (which is a very important stipulation), are the #1 method to generate new affluent clients. Myths and mistakes abound. This system is consistently filling rooms with pre-qualified affluent prospects in both big cities and small towns. To discover the proven roadmap to generating affluent clients at will, click below. How To Eliminate Rejection and Authentically Close Affluent Prospects… Without High Pressure Sales Techniques! It’s a missed opportunity that you may never get again. Honed over 30 years, my proprietary Affluent Engagement System® converts up to 94.7% (once you master it) of affluent clients because it employs proven, scientific principles of marketing to the affluent. Using Scott’s Language, I Closed A $5.1 Million Client! In today’s world, video is the prime media to share your message. Imagine sharing your story, message and service while being interviewed on camera by Kevin Harrington, an Original Shark on ABC TV’s Emmy-award winning series Shark Tank or James Malinchak, featured on ABC TV’s hit series, Secret Millionaire. Plus, training on how to shine on camera and be your authentic self. One of the biggest opportunities for financial planners, investment advisors, and wealth managers is to “nurture” warm prospects who have stalled. The rhythm is weekly, monthly, quarterly and annually. The irresistible nurture is VAC – Value Added Content, including tips, special reports and assessments. Books are the ultimate #1 credibility builder on the planet… bar none! In fact, books save you tons of money on business cards, brochures, pamphlets and other traditional marketing junk that are making you look like every other advisor. If you want to boost your trust, influence and authority, having a book will establish you as the go-to advisor so that you get hired more often and paid more. Scott’s Joint Book Got Us A $7,000,000 Client. The advisor with the most credibility wins. One of the most powerful ways to multiply your credibility FAST is to write (appropriately) and distribute a well-crafted Press Release using the Credibility Stacking Formula. If you find that all the advisor sales training is hard sell or ineffective, there is a reason. It is. I read just about every book, took most of the sales courses, and worked with sales coaches until I discover the ONE thing that was missing. It’s the ninja secret that changed my results forever. Now you can authentically sell without selling. The best sales training I’ve ever been to. Scott is the best selling author of over 8 books, including “Double Your Affluent Clients”, “Love, Money, Control: Reinventing Estate Planning”, and “Secrets of Peak Performers: Wealth Creating Strategies from the World’s Most Successful Entrepreneurs”. Are you ready to finally experience a BREAKTHROUGH in MORE PROFITS, FREEDOM, and JOY for Your Practice? Are you feeling stuck in your practice? Is your marketing stuck in the mud? Are new prospects barely trickling into your practice? Are you adding enough new clients? 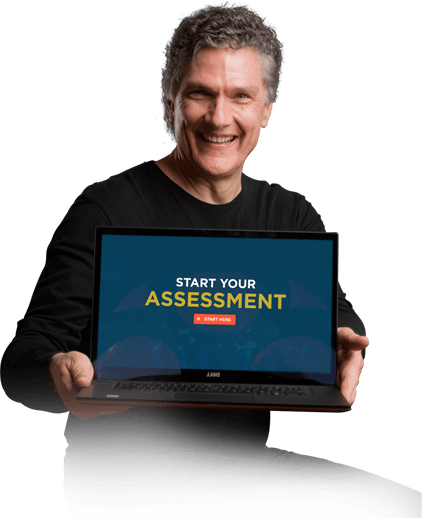 Click Here to Schedule Your Live Marketing Assessment NOW! Think this program might be the right fit for you to drive your business forward?